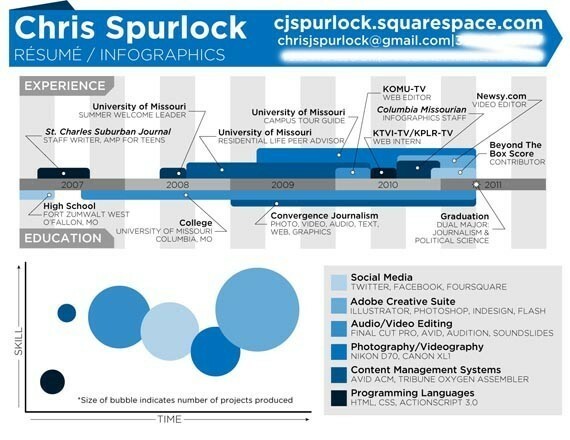 In 2011, journalism student Chris Spurlock's infographic résumé went viral on social media and landed him a job at the Huffington Post. 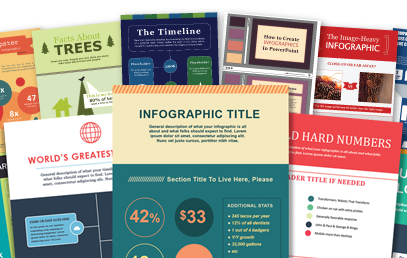 Could an infographic résumé be just what you need to stand out from the crowd? The links below can help you decide. Teaching with infographics is limited only by your imagination. Why not design an infographic syllabus? Why not have students create infographics to demonstrate learning, or to document a project? Here's what some of your colleagues have to say. Newbold, Curtis. Would a Course Syllabus Be Better as an Infographic? Davidson, J., & Hargis, J. (2016). Serendipitous faculty development through infographic active learning exploration. International Journal on New Trends in Education & Their Implications, 7(2), 50-60. Davidson, R. (2014). Using infographics in the science classroom. Science Teacher, 81(3), 34-39. Davis, M., & Quinn, D. (2013). Visualizing text: The new literacy of infographics. Reading Today, 31(3), 16-18. Krauss, J. (2012). More than words can say: Infographics. Learning & Leading with Technology, 39(5), 10-14. Toth, C. (2013). Revisiting a genre: Teaching Infographics in business and professional communication courses. Business Communication Quarterly, 76(4), 446-547. Perform a database search for articles on using infographics in the classroom. Create and share interactive data visualizations. Remember, a good infographic is a balanced combination of info and graphics, so avoid using too much text. Stay on topic and be sure to cite your sources. Data visualization guru Edward Tufte provides more best practices in the slideshow below. MCJ Edward Tufte Notes: A visual recap of an Edward Tufte presentation, captured and illustrated by McGarrah Jessee's Lauri Johnston.